We provide our clients with a unique technique for the vaccination of fish and it is our aim to see continued improvement in the aquaculture industry. As such, we are committed to sharing the best practice procedures that we have been developing since 1996. Since 1996 we have vaccinated over 700 million vaccinated fish, we have refined and perfected our systems, routines and techniques for the safe, fast and efficient vaccination of farmed fish with the priority being on fish welfare. We have now taken those systems and techniques and turned them into a three day fish vaccination course which has been accredited by LANTRA in the UK and has been endorsed by all the major vaccine companies. Our course also complies with Kurs i fiskevelferd fish welfare standards set by Matillsynet and has been approved for delivery in Norway. LANTRA is the UK’s foremost land based skills organisation and their mission statement states their aim is “To maximise the impact of investment in world-class skills and business development, so that we have a competitive, dynamic and professional sector. In alignment with LANTRA’s mission statement, our training course is not only the first accredited fish vaccination course in the World but we believe it will also help to raise standards of fish health and welfare across the World. So if you’re a barrumudi farmer in Saudi Arabia or a trout farmer in Devon and want to learn the best way to deliver vaccine to your precious fish, get in touch and we’ll share our experience with you through our 3 day training course. 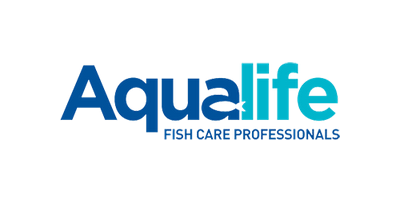 Aqualife is the first company to offer Lantra approved fish vaccination, reinforcing our commitment to commercial fish welfare and to professionalising the sector.